Group transportation is a common need for corporations and small businesses. Austin Charter Services provides efficient, affordable, and convenient transportation for your business group whether you’re celebrating the retirement of a long-time company member or you’re attending a corporate conference, making presentations, attending classes, or participating in another special event. We can provide charter bus service on an as-needed basis, as well as for regular trips each week, month, or year. We know each business has different needs when it comes to corporate transportation, and our expert team will help you choose from our many options that include passenger buses, motorcoaches, school buses, and transit buses. Traveling alone on business is something millions of Americans must do at one point or another, but traveling in a group creates a unique set of challenges. Arranging separate travel where there are several cars headed to the same venue not only creates unnecessary chaos, but also increases the cost of the trip when many cars are involved. 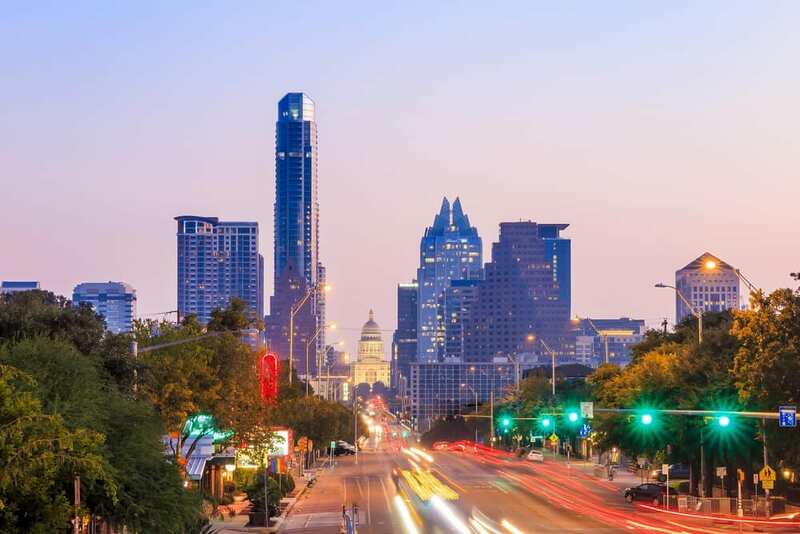 Our Austin, TX coach bus service ensures every participant at your employee retreat arrives on time without having to deal with that one employee who arrives a day late because of traffic, transportation issues, or other hang-ups. Our charter bus service is ideal when you’re slated to attend a conference, and you need to transport materials for a presentation or for a booth at a convention. Using our coach bus rental is also an excellent way to ensure the safety of your employees while they’re on the road. We know safety is first and foremost on your mind for your employees, and we provide the reassurance you need to know that every employee will arrive safely and comfortably via one of our clean and modern motorcoaches. Enjoy professional service, efficient transportation, and a worry-free journey when you choose to arrange for your business travel with Austin Charter Services. We’ll make the traveling easy whether you’re headed across town in one of our passenger buses, or you’re driving to Dallas or Houston for a major conference. Get in touch with our friendly staff to see how we can make your business travel easy and hassle-free with one of our bus rentals.